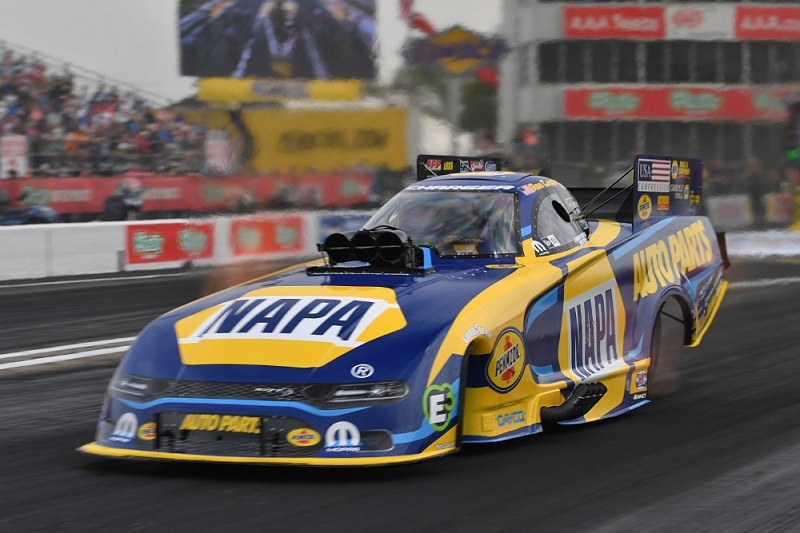 Behind the wheel of the NAPA AUTO PARTS Dodge Charger SRT Hellcat Funny Car, Ron Capps made the second-best pass of qualifying to earn the No. 2 starting position at the MOPAR Express Lane NHRA SpringNationals Presented by Pennzoil. 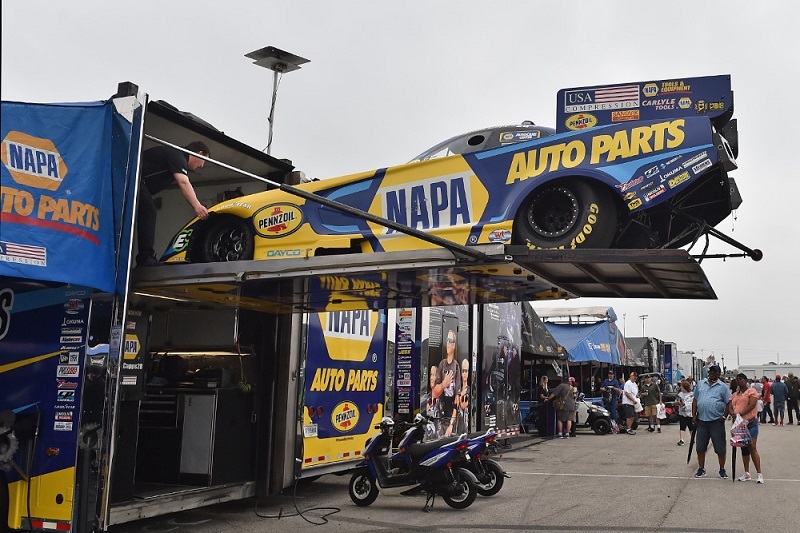 On race day, he successfully advanced to the semifinal round and accumulated 81 points to move to seventh (tied) in the NHRA Countdown to the Championship Funny Car rankings. 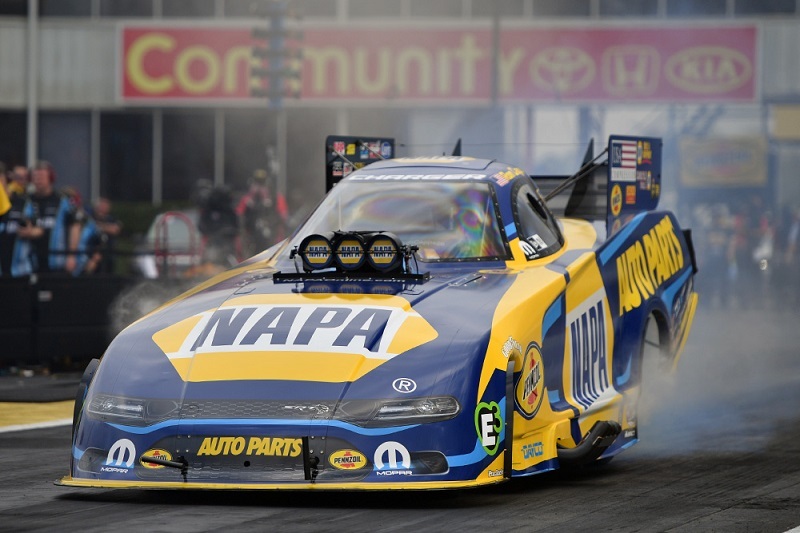 Capps powered the NAPA Dodge to a stout run of 3.893 seconds on Saturday to qualify second. 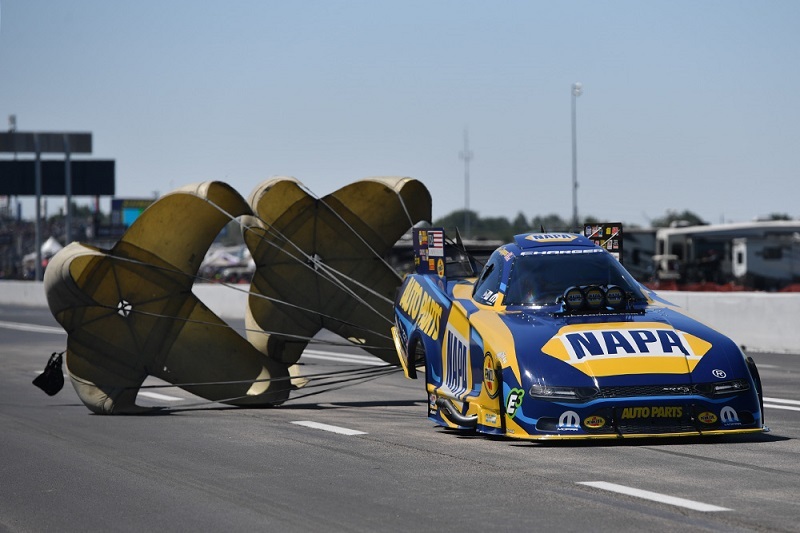 The run held up to be the quickest of the session, and Capps was one of only two drivers to dip into the 3.8-second range during qualifying. 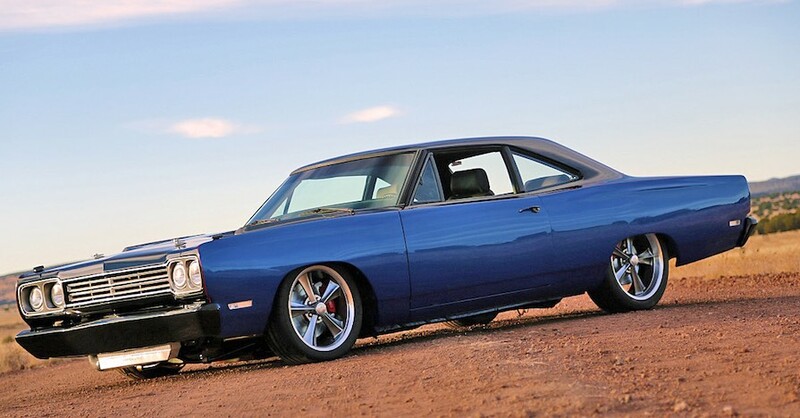 Capps drew Jeff Diehl as his first-round opponent and had no trouble defeating the part-time racer with his 3.950 E.T. versus Diehl’s tire-smoking effort. 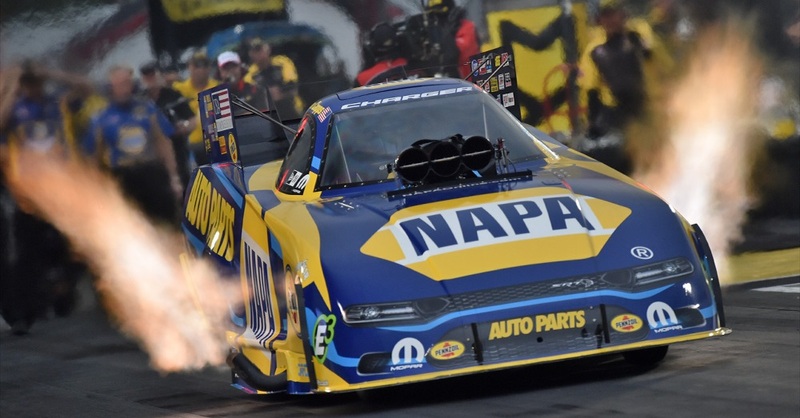 In the quarterfinals, Capps once again had the better car as he navigated the NAPA Dodge to a 3.938-second lap to claim the win over Shawn Langdon’s 3.983 E.T. The round two victory set up a teammate versus teammate semifinal battle with the 2016 NHRA Funny Car world champion squaring off against Matt Hagan. Capps and Hagan had nearly identical reaction times, but Capps’ machine gave way to tire smoke at the hit of the throttle. Hagan lost traction at the 300-foot mark and Capps attempted to catch up to his stablemate, but Hagan was already too far downtrack and was able to post the win. 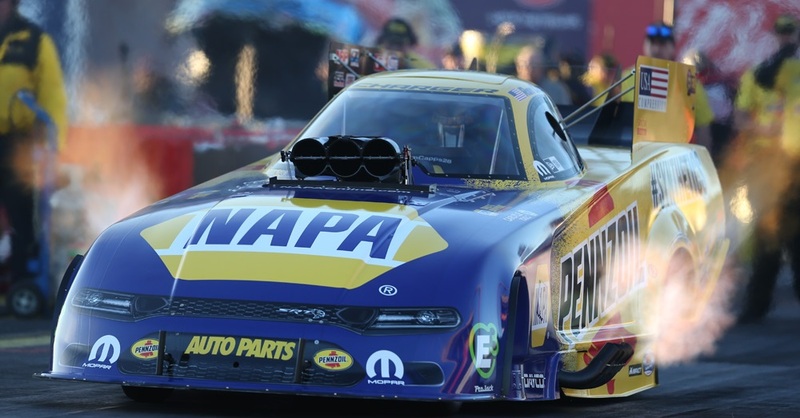 Sunday’s semifinal appearance was Capps’ first of the 2019 NHRA Mello Yello Drag Racing Series season. 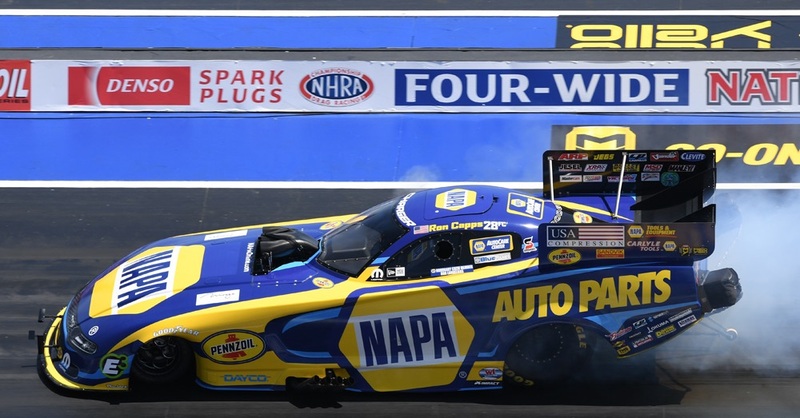 His strong qualifying performance coupled with two round wins enabled Capps to accumulate 81 points over the course of the weekend and move into a two-way tie for seventh in the Funny Car rankings. 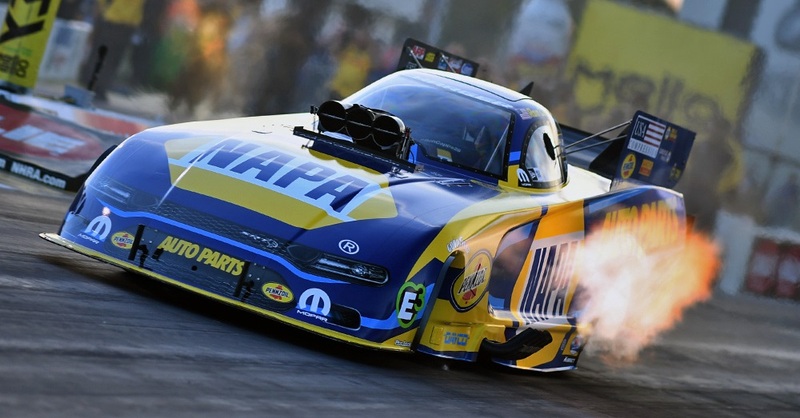 2019 NHRA Mello Yello Series Points Standing / Total: 7th / 286 pts.